I really want to talk replacement refs and how the NFL team owners appear to be so greedy they are willing to risk destroying a pretty sweet game to save literally nickels ($3 million out of a $9 billion annual business). After a recent happy hour bar conversation, I was going to debate how what’s happening there reflects the problem with some big business in the United States…a reflection of a corporate, greed-is-good, don’t share the wealth philosophy that ultimately could destroy the goose that lays the golden eggs…both in the NFL and ultimately this country. That was maybe too much of a stretch. So instead let’s look closer to home and how what’s going on with those refs sort of reflects what’s happening with some local transportation issues. Hang with me here…there are some reflective lessons between what is happening on the field and what is happening in the valley: Sometimes you have to pay all the partners to make the game better; when the players (or clients) start complaining about things, listen to them; and overall, build on the good things you have and find ways to make them better instead of deliberately making things shaky. Issue #1) Allegiant Air announced it will be coming into Montrose starting this winter. The low-cost air airline will fly to Phoenix and Oakland. With the impetus from Telluride, the idea was to open up new, fast markets to expand winter skier visits. 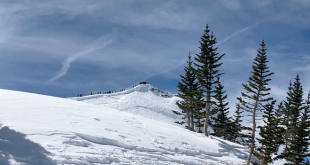 They have approached Crested Butte about participating in paying for the service since the Montrose airport is roughly half-way between the two resorts. No decisions have been made locally on that request but no matter what, you can use the service (and as a guy who’s flown it, it’s pretty good). And while there are probably too many questions to be answered and a pretty fast turn-around being asked for, the idea holds some interesting nuggets. What if the two ski resorts could figure out a real way to partner and offer not just low-cost flights but a real unique on-mountain experience for new guests? It might be worth the two ski area competitors finding a way to get together that complements each other. 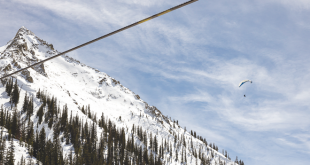 Crested Butte and Telluride are seen as two of the true Western ski towns out there. Both ski mountains are small when compared to Front Range resorts like Breckenridge or Vail but both offer an authenticity and interesting terrain that certain people seek out. 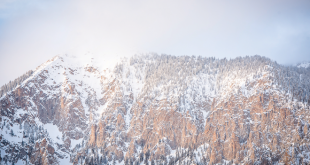 If the two resorts could somehow come together to, say, offer a package the provides a client skiing for three days in the San Juans and three days in the Elk Mountains, they could compete with larger, blander resorts. This Allegiant deal might not be the perfect fit, but it could perhaps offer some opportunity for some out-of-the-box thinking and open some doors on how both resorts can grow their market and stay true to themselves. The clients seem to be choosing to travel to easier-to-access resorts that don’t offer a genuine Western ski experience. Maybe teaming up to offer a bigger, easier-to-get-to, more authentic product benefits everyone without taking away our attributes. Don’t bring in replacement refs. Find ways to make the players happier. Issue #2) In Crested Butte, a late-night transportation service is not a wish, it is a need. The Late Night Taxi service is something that cannot go away if we want to attract clients who might want to enjoy a drink after midnight while on vacation…and that can be a lot of people. Last year the taxi delivered more than 8,000 riders to their beds. Many of them were likely locals but a good share were tourists who were staying on the mountain but partying downtown. That is what a tourist town wants—for people to have a good time and not be afraid of getting pulled over for a holiday DUI or a three-mile walk in zero-degree temperatures. It seems a bit shortsighted for Mountain Express to yank its funding for the taxi service despite it doing more and more special-event late-night shuttle runs. But if the people responsible for the painted buses don’t want to start driving more and more nights, that $7,700 donation from the bus system to the taxi service seems like a good deal. A real resort isn’t going to strand its clients. You have to pay for quality service. Making it easy for the people who choose to come here is part of the deal. I’m confident the town councils understand basic business and will pick up the shortfall but should it even be an issue? I think not. Just like the replacement refs that cost the Packers an actual game on Monday night…it shouldn’t even be an issue. Is this correlation a stretch? Maybe. But, the lesson is you have to shell out for quality that keeps the game going. Sometimes you have to pay your partners that are integral to the wholeness of the game. And sometimes you have to think out of the box if you want to make the game better. Otherwise, it all goes away or turns into a joke. Did you watch that last play Monday night? Are the winter skier numbers making you confident for the coming seasons? Short-term thinking shouldn’t trump long-term goals. And a quick community service reminder….CBMR ski pass prices go up at the end of the week…more on that later.